Comment The only platform pinball game! This is a one of a kind game no matter system because it's a football platformer and it may look strange, but works damn good. The scrolling is 8-way and you can jump in the air and go down in the ground. You can do tricks with the football while you stand still or run. 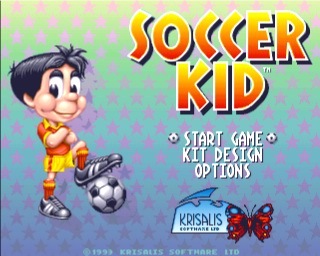 The programming of the football is plain awesome and can be compared to the ball in a pinball game. This could never have been done better. 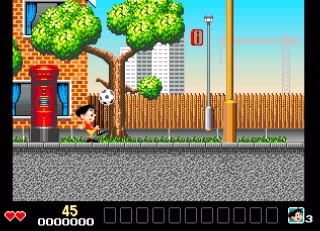 You can use the football to get rid of enemies and to collect stuff. On a level you must collect cards to get a bonus, but is not required to complete the game. The graphics is very varied, but is not enhanced much from the disk version, but still the game is polished everywhere and improved over the original A500 version. You get double the action with the addition of the football and when you kick the ball way out of the screen, you can get it back with a move. The music in the game is kept intact from the disk version, but is CD enhanced so this is why the atmosphere is even better. The music is very good and is made by the famous Matt Furniss. The intro of the game is long and lasts ~5 mins and is among the best ones on CD32. 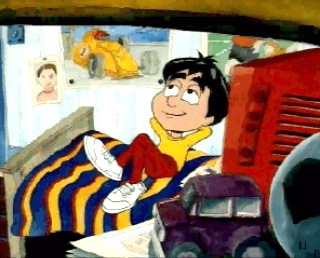 There is also cut-scenes between levels, several game-over videoes and a ending video. 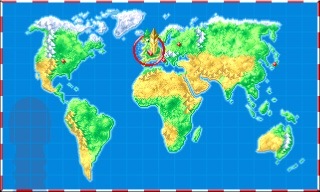 There is also an ingame tutorial where you can learn the moves. You can even change the clothes on your character before playing and is s neat feature. It is possible to save up to 5 games too and that is good for a platform game. Krisalis is actually on of the best developers for CD32 because they always CD enhanced their games good and knew how to make good gameplay. Too bad their great Rally CD game never came on CD32 and it kinda pissed me off many years ago because the demo was very good. It would have contained atleast CDDA and FMV videoes. 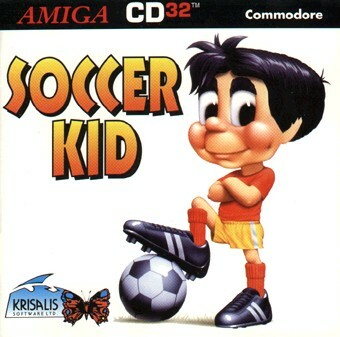 Anyway Soccer Kid is a very fun, unique and very CD32 enhanced game and it's a real AMIGA classic.